Chinese smartphone maker Xiaomi has been speculated to be close to completing the terms of funding, and now the company CEO has revealed that it has just closed a new round worth $216 million, its third to date. Speaking to Sina Tech, Xiaomi founder and CEO Lei Jun disclosed that the deal was completed over the weekend, however he neglected to reveal precise details of the firm’s latest backers and the valuation that the series C funding was raised at. Recent reports from China speculated that the upcoming deal would see the smartphone maker valued at $4 billion, and it remains to be seen if the company is worth the amount, which was considered excessive by many. The company was valued at $1 billion December when it secured $90 million in a series B round led by Qiming, IDG, Qualcomm, MorningSide and Temasek. MorningSide, Qiming and IDG also led its $41 million series A investment in 2010. Xiaomi has been public about its need to raise more money, as it remains focused on building its MIUI Android-based devices — which retail at $320 — and traction within the Chinese marketplace. Nonetheless, the firm revealed in May that it was already seeing impressive revenues of $158 million each month, and is shipping half a million handsets each month, showing that there is much potential for low- and mid-range devices in China. Xiaomi is arguably one of the least known in the tech industry’s $1 billion club. Its China-only business has ensured that its profile is considerably lower than the likes of Instagram, Yammer and Pinterest. Xiaomi’s Mi-One device is an app-centric device that looks much like the better known Apple iPhone. The phone is manufactured by Foxconn, and packs some serious power with a 1.5 GHz dual-core processor and 1GB RAM, which makes it faster than the Samsung Galaxy SII. The device was initially only sold via Xiaomi’s online store, which led to a sizeable backlog of orders and new batches of phones selling out in minutes. A recent release of 150,000 M1s sold out within 13 minutes of becoming available in May, for example. 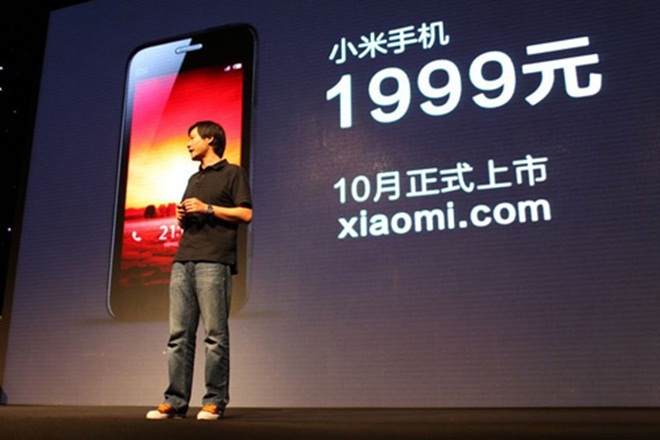 Xiaomi has since diversified and it now enjoys distribution deals with operators.